The trade paperback reprint of James Franco’s thoughtful reflection on childhood through a series of personal snapshots, sketches, paintings, poems, and short stories. An actor treads the line between reality and fiction every time he plays a part, and for James Franco, that exploration isn’t limited to the screen—he’s also a visual artist with several exhibitions under his belt as well as the author of the widely praised story collection Palo Alto. In A California Childhood he plays with the concept of memoir through personal snapshots, sketches, paintings, poems, and stories. 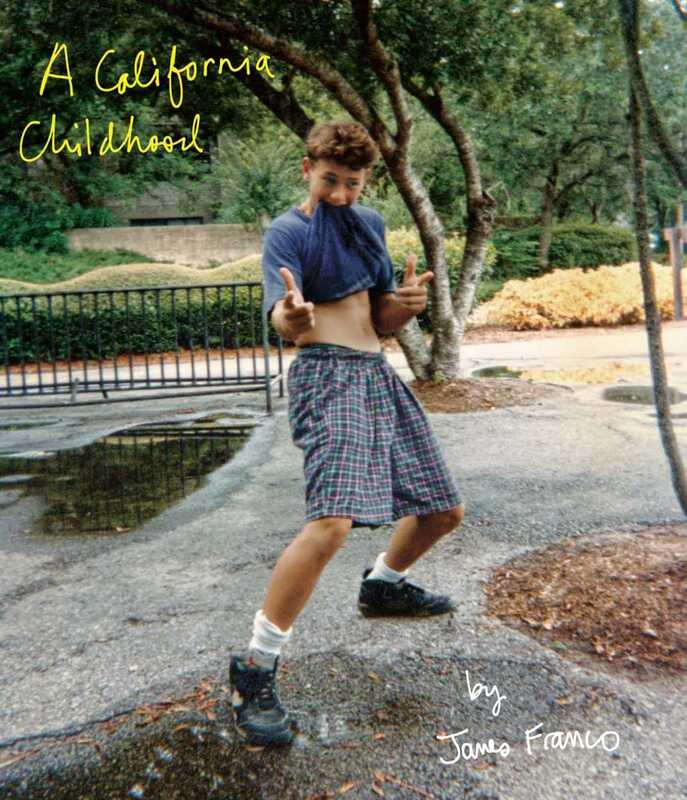 “I was born in 1978 at Stanford Hospital and spent my first eighteen years in a single house at the end of a cul-de-sac in Palo Alto,” Franco writes in his introduction. Steve Jobs’s daughter and the grandson of one of the Hewlett-Packard founders may have both been in his graduating class, but just across the freeway from his home turf lay East Palo Alto, which in 1992 had the highest murder rate per capita in the country. For Franco, the terrain of his upbringing is fraught with the complication of a city divided. But within that diversity, universal aspects of adolescence rise to the surface, and those are the subjects at the heart of Franco’s work. Ultimately this is a portrait of a childhood brightened by California sunshine, but with trouble waiting in the shadows. At turns funny, dark, and emotional, the journey of this book delivers an undeniable immediacy. And at the end, the reader is left wondering just where the boundary lies between Franco’s art and his true life.